tap of your finger. Your phone is also the home of all the Osmo’s powerful intelligent shooting modes. 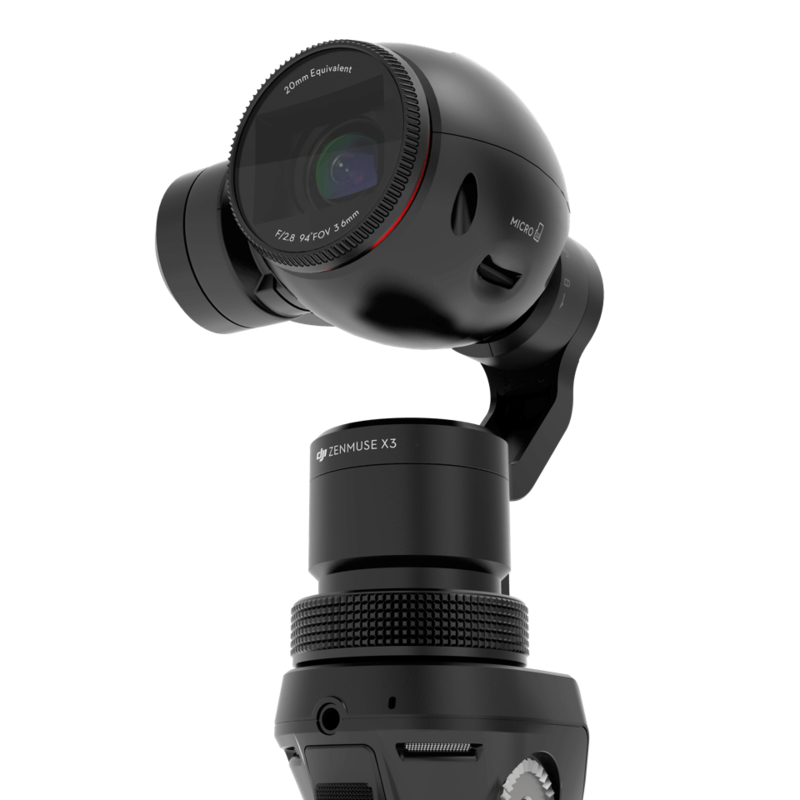 The Osmo’s Zenmuse X3 camera works as one with the stabilization system. It brings you 4K video at 24, 25 or 30 frames per second so you could even shoot for the big screen, and captures photos at 12 megapixels in Adobe DNG RAW, opening up shots that you never thought possible before. 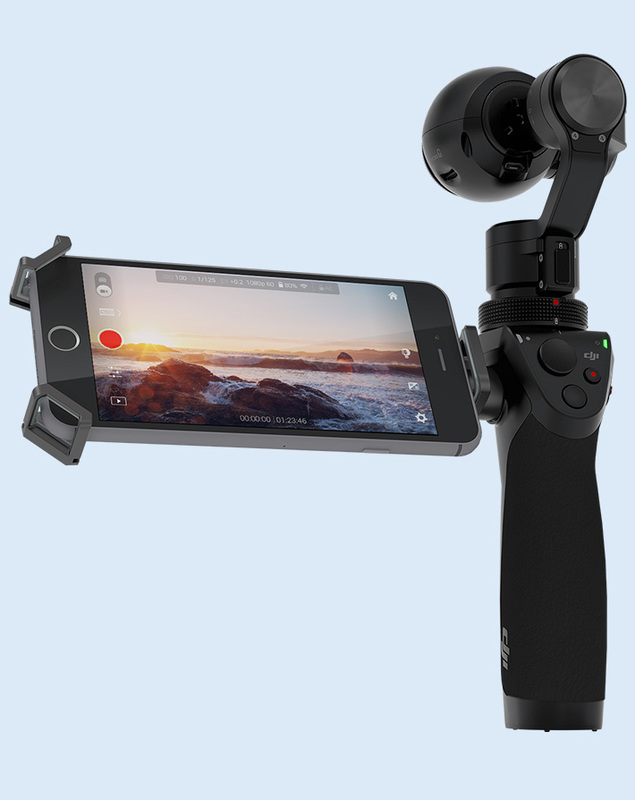 In addition to the integrated microphone, the Osmo package includes the DJI FM-15 Flexi Microphone. With advanced controls like audio gain settings, you can be sure you’re not only getting the shot but also capturing the sound.